I have a thing for old photos. Particularly those of family members. The thickness of the paper and the colour of the sepia toned silver halide crystals that were carefully developed in a darkroom long gone give me chills. I mentioned in a post last month about one photo in particular of my great uncle Dan, taken before he shipped of for war in the 1940’s and how it had an effect on me as a child. I would stare at his face trying to figure out what kind of person he was and the hardships he had to endure as a soldier on the battlefield that would claim his life on the island of Sicily. A couple of days ago I had another old family photo placed into my care. My job was to scan it and fix any small blemishes and take a small postage stamp sized section of it to enlarge to a 5×7. This time however I knew the people in the photo staring back at me very well. 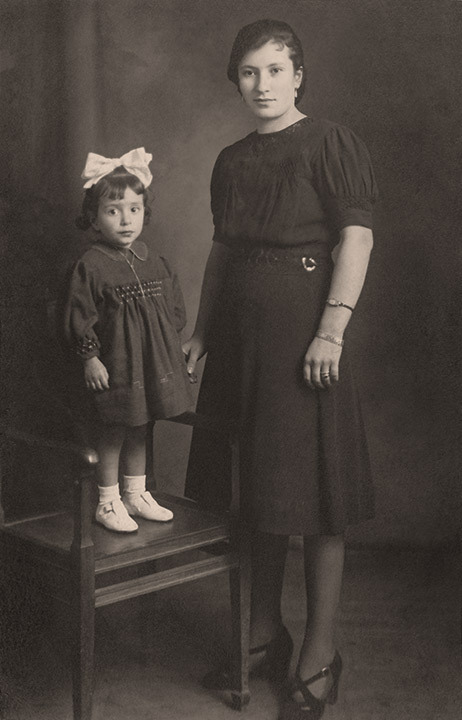 My mother-in-law, appearing to be about 3 years old, stands on a chair holding the hand of her mother, Emelia. Emelia was only about 21 in this photo. 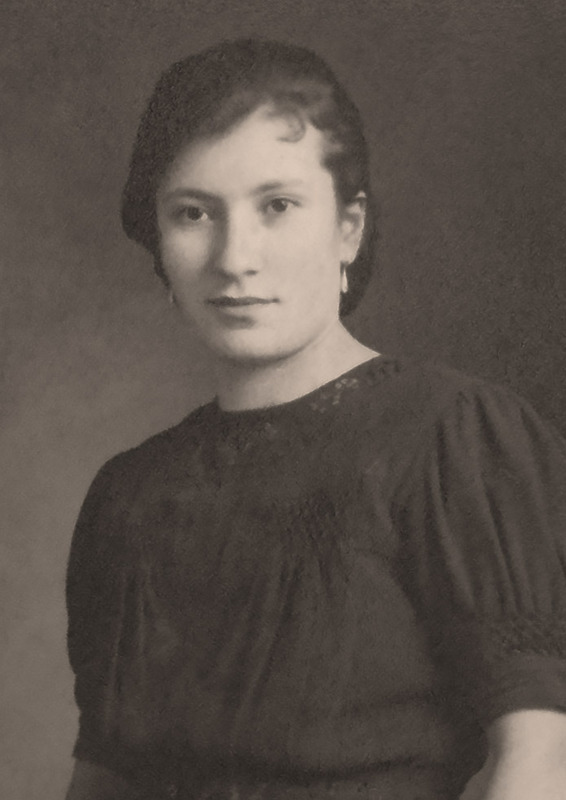 She had her daughter Marisa just before her 18th birthday, in a small town outside of Rome while her husband was off fighting in the same war my great uncle was. Emelia’s beautiful features are easily recognizable to me even though I didn’t first meet her until she was in her sixties. Her stance reveals her strength in the difficulties she had faced in life up to that point. Raising a child is tough work. Doing it in a country at war and eventually under occupation has to be brutal. Yet Emelia stands firm showing her strength. Her eyes reflect her will and tenacious independence. I can see these things because of the stories she told us over the years. After the war her husband Natalino came to Vancouver and found work. She followed on her own with Marisa in tow, sailing to Halifax and then taking the train across the country on their own. On her second day in Vancouver, not speaking a word of English, she set off on her own to take the bus downtown to see where she had uprooted her life to. 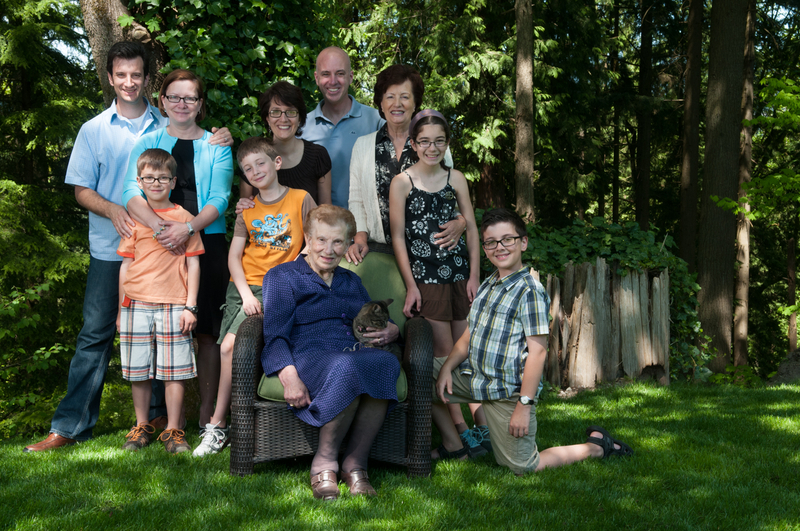 Once she walked into the old Woodwards department store she knew that her new Canadian life was going to be OK.
Later in life, after her husband had passed on, she refused to move out of her house and give up her independence. Despite the requests from her family, she would continue to take the bus and Skytrain where ever she wished even as her mobility declined. You see, she was a feisty lady who wasn’t going to take crap from anybody. A few years after Natalino had passed away she came home to find a burgler in her house. Rather than run away she beat the man with her pasta rolling pin until he fled. As feisty and independent as she was, Emelia was equally loving and nurturing. She loved her grandchildren and great grandchildren deeply. She worried that everybody worked too hard and didn’t spend enough time together. Time together, in her eyes, always involved food. I still recall the first time i cooked a meal for her and she paid me the highest compliment she could think of by telling me I cooked like a woman. There was also a wry sense of humor! We lost Emelia this week at the age of 93, but this photo of her, in her simple stance and straight forward gaze reminds us of these stories and of what an amazing woman she was. Now that she is gone, upon reflection, I can see some of these same traits have passed down to my own kids. I count myself very lucky to have had a chance to know Emelia, and to have the time to work on this photo of her. 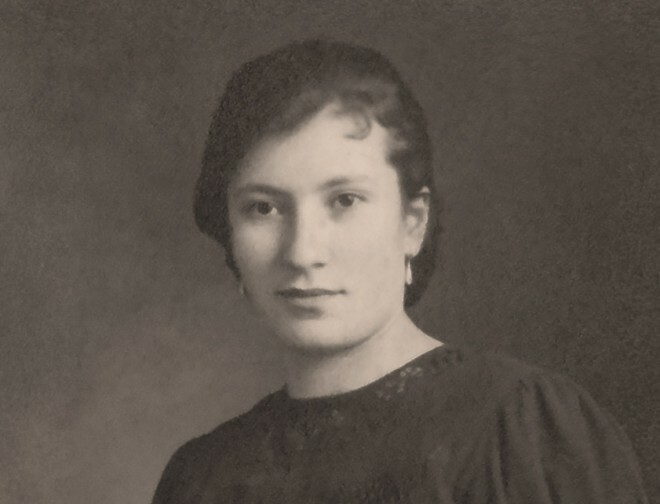 My plan is to have copies made for her great grandkids so that they can one day tell their own brood the stories of their Nonna Emelia and how she came to Canada strong and independent. Emelia’s family – 2012 Marco, Sharrin, Renata, Derrick, Marisa, Massimo, Luca, Juliana and Matteo. You have done her proud, Derrick! That’s a very Monaco Lisa esque smile. Awesome pics and job of relating to us the life of your in laws. Well done. You have many talents and indeed are blessed. What a beautiful tribute, Derrick. I feel as if I knew her myself from your words. My condolences to the family. Derrick man of so many talents!! This is a lovely tribute!! Made me laugh and made me want to cry at the thought of her family now missing her! The kind of woman I would love to have known- is it just me or do I see your daughter in these women?? Strong genes ??!! I’m sure in more than just features personality too?? Beautiful homage to my mother! Thank you so much Derrick although you did open the floodgates. Sorry Marisa. I was worried about that but I wanted people to know how lucky we were. Condolences to you and your family. What an amazing woman.